The Middle Part Is Tough! I just heard someone on the radio say that it is easy to have faith in the beginning and at the end. The tough part is to have faith in the middle. New Christians find it easy to live out their faith and share it with others. They are like the seed that springs up quickly (Matt. 13:20-21). The new-found faith of these individuals causes them to be excited about living for Jesus. However, over time this exuberance often diminishes to the point where there is no perceived faith at all. Then, at the end of life, faith has another good chance to be seen in people’s lives. They have explored the pleasures that the world has to offer, but they long for something more. They have reached a point where eternity is staring them directly in the face. They have no choice but to deny God once and for all or, finally, turn to him. End-of-life conversions are a joy to behold. It is wonderful to see a person near death finally accept Christ. However, it is tough to exhibit faith in the middle. The newness of Christianity has worn off. The world keeps battering you daily, hoping that you will falter. Discouragement abounds, and the finish line is nowhere in sight. The middle part is tough. That’s why we have to be especially diligent to live out our faith! “Therefore, my dear brothers and sisters, stand firm. Let nothing move you. Always give yourselves fully to the work of the Lord, because you know that your labor in the Lord is not in vain.”—1 Corinthians 15:58. 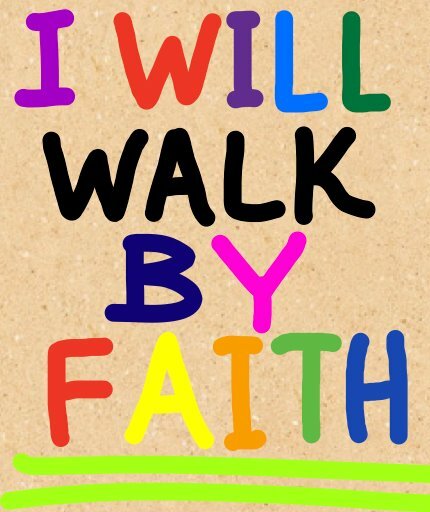 This entry was posted in Christian Living, Leadership and tagged 1 Corinthians 15:58, Christianity is tough, faith, illustration, live by faith, perseverance, walk by faith. Bookmark the permalink. 2 Responses to The Middle Part Is Tough! Thank you, Tom, for a very practical and scriptural truth from the Bible. I remember those days about 30 years ago when I was on fire for Christ. Now that I’m in my early 50s, it’s so hard. And complicating things is the fact that I fainted in my kitchen over three years ago, broke my neck, and am now paralyzed from the shoulders down. Perseverance has been a challenge! Thanks for a great post and including the verses at the end. My preference when I read other people’s blogs is that they not just a reference the verses, but they write them out for me. So bravo for you! Thanks for the encouragement, Terri! God Bless!